Home › One Step 4Ward Blog › Every country in the world DONE! What’s next? So I’m 33. I reached my life goal, what comes next? First up, my blog certainly isn’t going to wither and die. Quite the opposite. I plan to take OneStep4Ward.com to the next level. Firstly, I’m half way through designing and creating my course showing people EXACTLY how I did what I did. Going from being a broke university grad to being financially free, and free to live my life on my terms. It’ll be 3 modules long – a module on teaching English in Asia, explaining everything you need to change your life. Secondly, it’ll be a module on blogging, how to do it, how to make it popular, how to make money blogging. Finally, the digital media and SEO. How to make a lot of money online, how to work on your terms, how to make five figures per month and outsource stuff so you’re free to travel, or hit the gym, or whatever your passion is. This course will be the practical version of the 4 Hour Work Week. Read that for inspiration, then take my course to take action. Follow it and you can quit your job, I guarantee it. I plan to release it around June/July when it’s finished. Sign up to my blog at the bottom of this article to stay up to date with that. We’re working out pricing at the moment, but will be somewhere between $899 and $1499. It will change your life. As for other blog content, I’ll continue to blog about travels, about all the crazy experiences, and amazing things you can see and do in every corner of the world. I plan to hire a writer too, so we can increase the content. That’d be awesome. So OneStep4Ward will continue, the community will continue to grow and I hope to inspire a whole chunk of you guys to follow your dreams and achieve your goals. If I can do it, no reason why you can’t. I didn’t visit every country in the world as some kind of competition. I didn’t jump over borders for 20 minutes, or count airport transits, I didn’t race around the world in 15 months for 15 minutes of fame. I travel because I love it. I travel because I believe it truly breaks down barriers, educates us in ways that no school could ever do. I travel because growing up poor, this kind of lifestyle wasn’t possible for me, so I have to pinch myself to believe that I’m free now. I travel because teaches us gratitude, empathy, appreciation and humility. And of course it’s fun. Outrageous fun. The situations I find myself make me feel alive. I know I’m maximising my life. The people I meet, the things I do (half of which will never be mentioned in this blog! ), the sites I see, it’s amazing. April 20 to 29th I’ll be take the ‘Lanka Challenge’ with the adventure company Large Minority. It’s a 10 day, 100km+ team tuk tuk ‘race’ (not really a race, more a daily challenge based thing for fun). 13 teams of 2/3 people in each tuktuk starting and finishing in Colombo, Sri Lanka. Not only that, Large Minority donate 10% of profits to sustainable projects in the country, so having fun and doing good? Sounds right up my street! If you wanna join last minute next week, I think there’s one space left – $4k per team ($1300 if there’s 3 of you). My team is Josh, the Canadian guy I co-founded the charity with, and Jordan, the guy responsible for our amazing playground charity videos in Cambodia last year. Can’t wait! They do 4 of these challenges each year, Philippines, Sri Lanka, Amazon and Cambodia – I already have my eye on the Cambodia tuktuk one too, let me know if you guys want to join, I can maybe negotiate a discount if we all go together! My sister ( a mummy blogger here), her husband, my niece and nephew and my mum are all coming to Thailand, and then to Indonesia for a month! Amazing! I’ll be spending 3/4 days with them all in Bangkok, showing them how kid friendly Bangkok can be, then we’re flying to Bali to stay in an amazing villa for us all for 4 days. This is one of the biggest rewards since I started doing well with all this blogging and online money stuff, being able to treat my family to amazing experiences. So grateful. 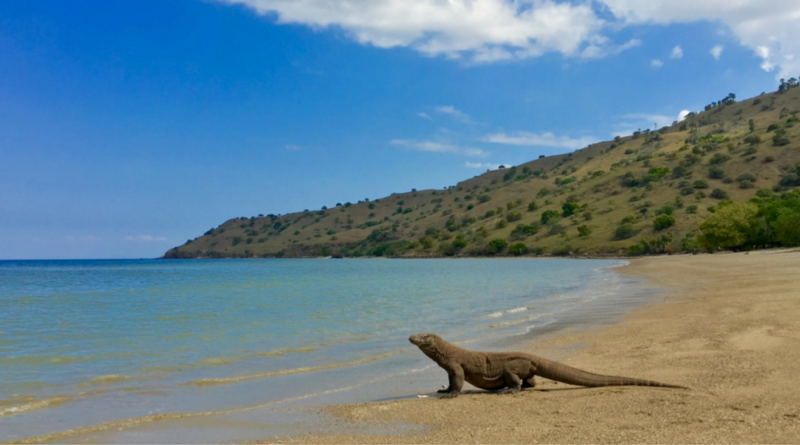 From there, I’ll be taking my girlfriend to an amazing pool villa in Lombok, Indonesia for 3 or 4 days, then flying back to pick up my mum in Bali again and take her to Komodo, Indonesia to tick off another bucket list item – the Komodo dragons! My mum, almost 70, and with Parkinson’s disease, is my only inspiration and mentor in my life and watching her embrace everything life has to offer, regardless of its difficulties, is nothing short of amazing. So we’ll be hiking up hills, snorkelling and chasing Komodo dragons around the island, then back to Bangkok. The GiveBack GiveAway 2017 trip! May 28th to June 11th, I’ll be taking 16 people to the Thailand/Myanmar border to build a playground for the Burmese migrant kids, try to bring a little joy to their education, then the group and I will explore Northern Thailand for 2 weeks. It’s gonna be epic, with the highlight of that bit, aside from the playground, sure to be volunteering at the Elephant Sanctuary outside Chiang Mai. Ireland roadtrip! FINALLY, I will explore my own country, both the North and the South. I’ll be roadtriping all around my beautiful island, exploring everything Ireland has to offer, along with a few friends. Renting a car, drinking too many pints of Guinness each night, sight seeing in the day, staying in local bed and breakfasts, and repeat. It’s going to unreal, and I’m actually thinking of making it into a OneStep4Ward Ireland tour – not sure yet, would you be keen to join? The big one. 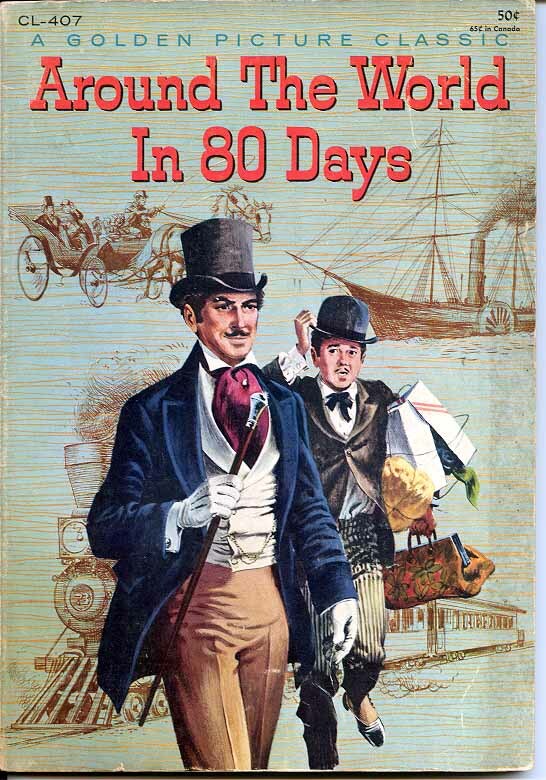 ‘Around the World in 80 Days (no flights!)’. I’ll create a blog post about this trip this week, but basically, it’s London to London, no flights, in less than 3 months. Trains, cargo ships, buses, cruise liners, whatever we can manage to board, we’ll take it. Inspired by the Jules Verne book ‘around the world in 80 days’, and Michael Palin’s similar journey 20 years ago, Josh and I will attempt to do it ourselves without the might of the BBC, and dresses up in Jule’s Verne era clothing, 3 piece suits and everything. And probably with a little more alcohol, and a little less class, and a lot more adventure. Sorry Mr Palin, you’re one of my travel heroes, but our trip is going to be more fun! Also, we’ll try to film it and have a youtube series, or if we’re lucky, even a TV show, more of that in the coming weeks. This is what I plan to wear! Some free time?! Is it possible?! I have no plans other than Ireland for Christmas. For sure, Taiwan and the Maldives are both on the cards. But I’m shattered after this 10 year journey, so maybe a month off travel is exactly what I need. Some public speaking engagements, a month or two of fitness at Bangkok’s best gym and more business stuff. Realistcally I’ll probably get bored and end up cycling the length of Thailand or something, but let’s see. I’m pencilling in some downtime so at least I can pretend I’m going to have a break. I guess even another GiveBack GiveAway project would be possible if we had time to organise a partner and fund raise. Let’s see. 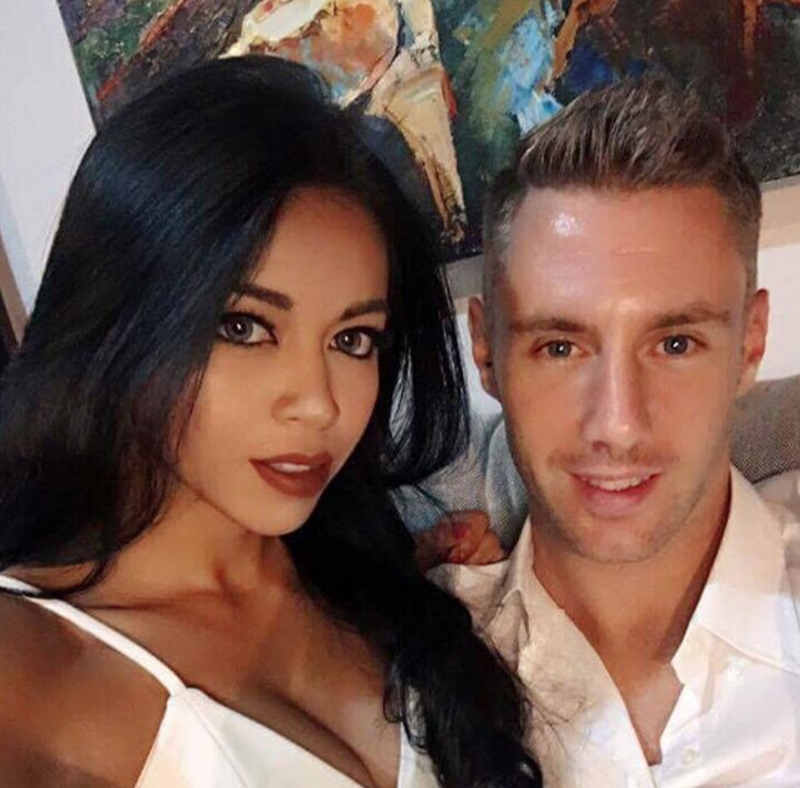 Bangkok to Belfast by tuktuk: I want to leave my new home in Thailand and reach my old home in Ireland…. by tuktuk. I guess it’ll take 3 or 4 months. Permits, visas etc will be a headache but I’m definitely doing this, one way or another. No flights. Thailand to Laos to China to Kyrgystzan, Uzbekistan Russia, on through Europe. Boom. Cycle from San Francisco to New York City, USA: Always been a dream of mine to cross a country by my own effort. Technically I have run around a whole country before – Nauru, the least visited country in the world, but it’s also the smallest country in the world so it’s kinda cheating. So I plan to tackle the USA, it should take about 3 months or so. North Pole: I know, ambitious, but possible. Costs start around $30k so it’s painfully expensive, but it’s a dream of mine. I’ll investigate more, and I will make it happen. Let me know if any of you crazy people want to join, seriously? South Pole: Even more ambitious, and even more expensive $30k-$60k, but once I set my mind to a goal, I can’t let myself fail. Again, anyone who wants to join is more than welcome. Mount Everest: The ultimate. I have very little climbing experience, so many injuries from all my travels ( including smashing my leg up in Thailand), and costs can reach up to $100k. There’s no rush but at some point in the next 10 years, this baby will be mine. I have a new bucket list of course too, Faroe Islands, Svalbard etc but these are all more acheivable, so the big ticket items above are my huge focus. You have to set goals or you end up drifting, and drifting is my biggest fear. So let’s do it. 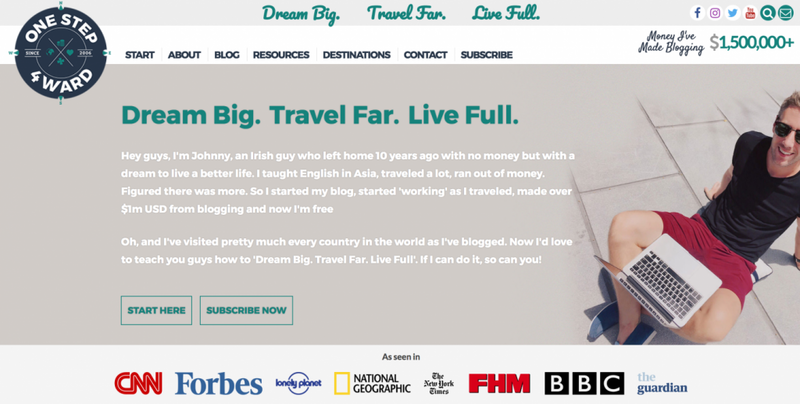 I love to travel, and my blog began as a budget travel blog, but over the last few years it’s evolved to a lifestyle blog, one which motivates and inspires people to be the best they can be. Self improvement, health, travel and money are all a focus of my life and I share that all here. So while I often blog about my fitness journey, my invisalign treatment in Bangkok, my language studies, I am also aware that we need money to be free. So what are my business targets? My big goal is a net worth of $10m, that’s my magic figure. More importantly though is my passive income goal. I want my investments and businesses to generate $100,000USD per year for me ($8k a month), tax-free, with no mortgage on my residential property. Those are my 2 financial goals. I’m a long way off, but ambition is the first step. In terms of what I do online then, to answer a lot of questions I get each day in my inbox, I have my blog of course, and my SEO/digital media company, I also have my education start-up in Hong Kong (which is currently parked as I’m so busy with my other commitments), my properties (2, soon-to-be-3, in London and one in Thailand), my stock portfolio, and I’m in talks about a book deal. Also I hope to ramp up my public speaking efforts, and as I mentioned before, I will be releasing my course later in the year. So biz-wise, I’m super busy, which may explain the grey hairs I find more of every day! I often get new projects in my mind, or approached to joing other stuff, but I’m worried about spreading myself too thin, so unless it’s ridiculously awesome, I have to learn to say no. Who knows what the future holds. I’m so so grateful for the life I’ve managed to create, the freedom that I have, and the ability to help the people I love. Do I plan to have kids and a family? Absolutely. When? No idea. Those of you who have followed me for years know that I had/have/had/have a girlfriend during my travels, my lifestyle has made that difficult to maintain but we battle on. Pregnancy? Marriage? House? Nothing imminent, but of course I still want all that too. I just want it along side with living the dream, bringing my kids on backpacking trips, or cycling across countries, or climbing mountains, wow that would be something truly special. So yes I do want all that, but I don’t want to be stationary permanently, chatting about prams and diapers. My future family life will be crazy, just like my non-family life is crazy, and I look forward to it! OK, so lots to come, lots of stress, and headaches and more grey hairs, and I love it all, bring it on. Hope you guys have big plans too, if you don’t, sit down, think about what you want to achieve and write that sh*t down. Visualising it brings it to reality. Own your ambitions, dare to dream, and I’ll see you on the road. I love reading this. I had similar ambitions in my 20s after living in Australia, but settled back in the UK, married and had 2 wonderful children. The ambition hasn’t gone – and I can’t believe I’m 50 next year. I’m also a teacher – so my question is I can’t leave my job right now but would I just be able to take module 2 and 3 of your course and start to travel in my school holidays and blog – until I can do this more long term. Probably in my 60s! I’ve really enjoyed reading about your journey. What a great accomplishment. Thank you for sharing! Have you been to French Guiana? Not technically a country, but it seems lika a cool place to visit. Great tips! Johnny you have visited nice places and captured nice picture and video. Wow! So many great tips. Awesome video and article you shared. Thanks for sharing it. Nice video with stunning picture! I enjoyed reading it throughout. Thumbs up for the write-up. Simply loved it your article. Stunning pics you shared with us. Thanks for sharing it. This looks rely beautiful with some stunning pictures thanks for tips with the informative knowledge. Nice post! It is helpful information for travelers. You captured wonderful pictures in your travel trip. I like your blog post. Thank you so much for sharing it. success. Happy to see your blog story. Its inspired me to sustain in this platforms. Awesome, I was looking forward to the post-last-country post! You got some cool stuff coming up, I can’t wait to read about it! Especially Algeria, I would love to read about Algeria. I’ve always thought North Africa would be a cool place to visit but like you said no one goes there besides Morocco and occasionally Tunisia or Egypt so I honestly know nothing about the place 😛 Same with a lot of African countries, your blog is often the only place I can find articles about, say, Mauritania or Sudan. Hope you get to do it all. The Poles are the crunch. Ireland is also on my list for July and hope your tuk-tku trip will take to Ukraine also. it’s amazing how you are able to talk about how much money you have without worrying of being kidnapped xD.. i once talked about it on my blog and thief robbed our house… your life is inspiring though ^_^.. keep it up and hope to meet you sometime. YES!!! OneStep4Ward Ireland tour. 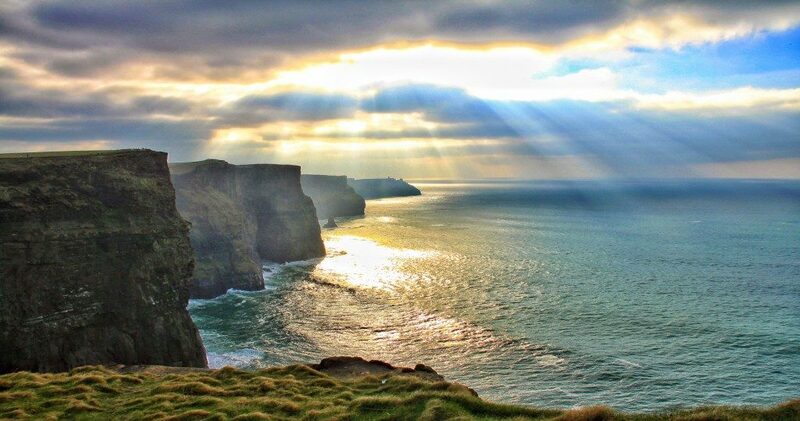 I have been thinking about Ireland for a while. After the amazing road trip in Scotland back in 2014 (https://www.flickr.com/photos/boykoblagoev/albums/72157647137753912) I’d love to join, especially since I missed the party in Norway. August would be great for me. Thanks for this idea, hope you make it happen. Whiskey, GoT, all the greenery, can’t waaaaait! Wow, so many great plans. I hope you achieve them all and take us along the ride It’s always inspiring and fun to read your posts. If you need a cycling buddy in the future, I am in!